What is the maximum number of distinct notes that can be played in a chord? At what point does adding another note to a chord become chaotic or unpleasant to the ear? What known chord has the most notes and is there way to hear that chord here as an answer? Different octaves can be included but would be limited by the range of human hearing. There is no absolute numerical answer to this. It is very, very much subjective. As Topo states, it's dependent on a lot of factors, and voicings come near the top.Even three notes, badly voiced, could be the limit. Seven or eight would be getting close, but it very much depends on the chord, the situation physically and the orchestration involved. If you are talking about named notes, I'm happy to defer to Tim's 'seven or eight' answer, but as he also says, looking for a particular number is meaningless. I'd like to point out that composers and theorists have constructed 12-note chords containing all 12 chromatic notes before, and there's plenty. On the other end, I've created a couple particularly nasty ukulele chords (think F♯-G-G♯-A) made of 4 notes that are almost completely unusable. My favorite description of this comes from Jacob Collier (I think). He argues that arranging a chord is like walking a bunch of dogs. If you have 3 or 4 notes, it's not that much responsibility, but with, say, 8 or more notes you have to be in firm control and completely aware of the responsibility you have as the composer: keeping them on a tight leash. The more notes (dogs) you have in a chord, the more difficult it is to make harmony out of. This is subjective. If you're a person who prefers jazz to a catchy pop tune, it's going to take a lot more to make you think a chord is "chaotic". As others have said, it depends on the timbre of the instruments forming the chord. To elaborate with an example, a pipe organ has relatively little harmonic content. A mere open fifth might sound thin and uninteresting while a complex chord may sound great. Conversely, a so-called power chord (just the root and fifth) sounds powerful and energetic on an electric guitar played with plenty of distortion, while a minor seventh chord (with just 4 notes) on the same instrument might sound like a cacophonous mess. It also depends on pitch. The lower the pitch, the more energy there is in the sound. The more energy, the easier it is for a dissonant interval to sound bad. Play Am7 rooted at A3 on a piano. It's a nice chord. Try it again at A1 and you'll see it sounds much less palatable. At some point, this becomes an academic exercise which has little or no practical application. It's still fun to think about it, though. It's not so much about the notes, however, as it is about the pitch classes. Repeating the same note over multiple octaves as part of a chord voicing does relatively little to change the complexity of the chord, especially if you're going into higher and higher registers. It's the addition of extra pitch classes that challenges the notion of "known chords". 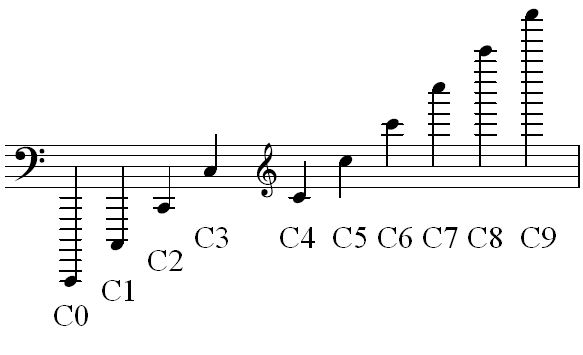 After 9 or 10 pitch classes, the chord symbol system can't be used to give a meaningful name to a chord. I suppose you could play Fmaj13(add♭2,♯4,♭6) voiced as F3 G♭3 A3 B3 C4 D♭4 E4 G4 B♭4 D5, but I don't know what harmonic role that might have in a piece of music. Perhaps it could be used to frighten the audience in the score of a horror film. It has all but two of the 12 pitch classes in it. If you added either D♯/E♭ or G♯/A♭, I don't think you could come up with a meaningful name. Does that exceed the set of "known chords"? I don't know; it could still be scored. Dissonance is the musical term, but adding more notes is not necessarily the factor which will produce dissonance. Add enough pitches and your get white noise which some people like to fall asleep to! If we are talking about traditional, functional harmony, I would say 5 tones (ninth chords) is the limit. After that, we get 11th chords which begins to undermine tertian harmony and takes us into quartal harmony. Not necessarily unpleasant, but perhaps chaotic from a very traditional musical perspective. A lot of avant garde music will direct each player in an ensemble to play freely where you wouldn't be able to get an exact count of pitches on the resulting chords. In that sense we are facing an 'uncountable' idea. There is some similarity between tone clusters and quartal harmony as quartal chords can be inverted into clusters. One could argue these avant garde devices are not proper chords but rather contrapuntal and percussive effects. ...and is there way to hear that chord here as an answer? The question kind of supposes such music is unheard of, but there is a lot of music using these kinds of dense sonorities. That music doesn't get much air time on the radio or many recital hall performances, but it exists. Is it unpleasant? That's tricky. It's a matter of taste and especially exposure. If one has only heard modern and avant garde music in horror movie soundtracks, you have been conditioned to react a certain way. Debussy's music is normally regarded as very beautiful. What the West Windw Saw surely is dramatic and in places very dissonant. I think Cowell's Manaunaun uses comparatively softer dissonances even though the tone clusters are numerically denser than Debussy's chords. Taking from jjmusicnotes answer and this answer I deduct with 8 notes in a chord at 14 octaves with each corresponding note playing that a chord of that at 112 notes could be played at the same time in a chord. This picture shows 10 octaves with 10 notes. Add 7 more notes to each octave in a chord would equal 80 distinct sound frequencies that harmonize. Not the answer you're looking for? Browse other questions tagged chords harmonics or ask your own question.